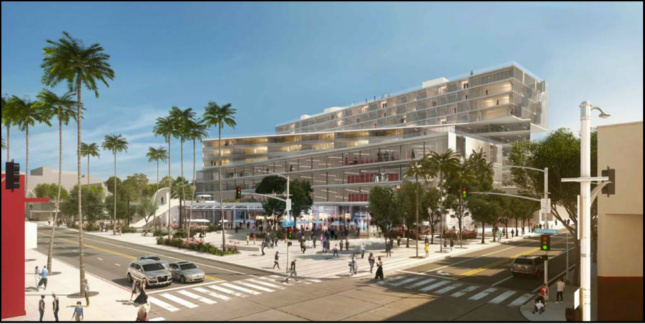 The mixed-use Santa Monica development, originally pitched in 2014, has been dogged by outcry from anti-growth community activists. 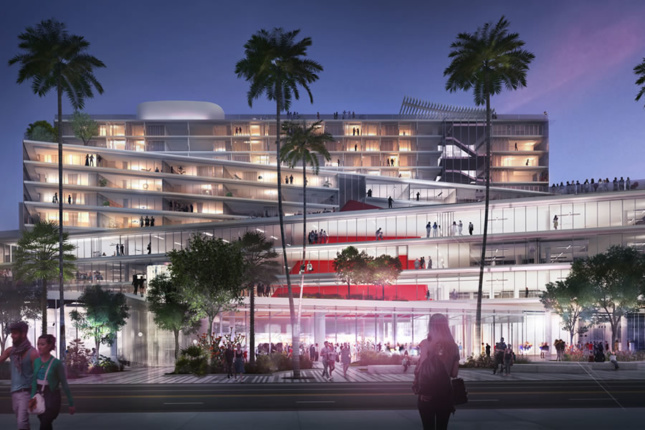 Plans for a long-delayed and controversial mixed-use project by OMA in Santa Monica, California have changed once again. 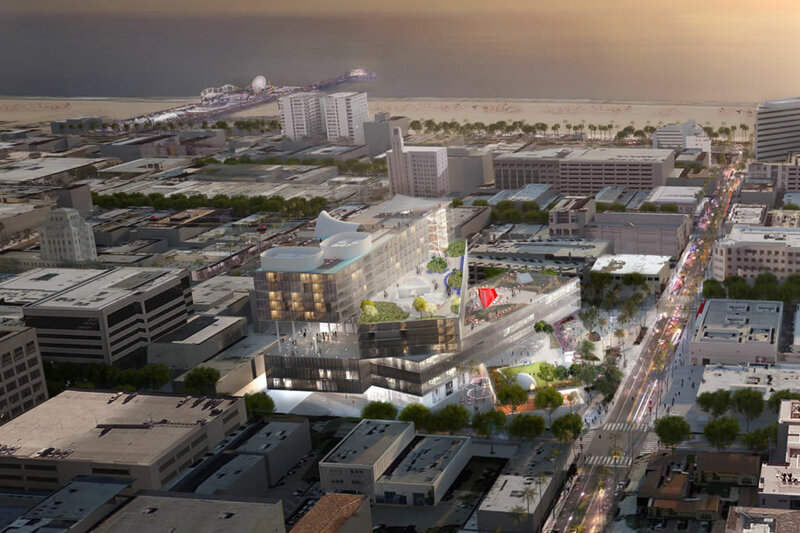 OMA’s Plaza at Santa Monica development—a project that, if built, would be the firm’s largest work in Los Angeles to date—is to be located on city-owned land and will contain a flurry of programming, including a hotel, affordable housing, creative office, and retail spaces. 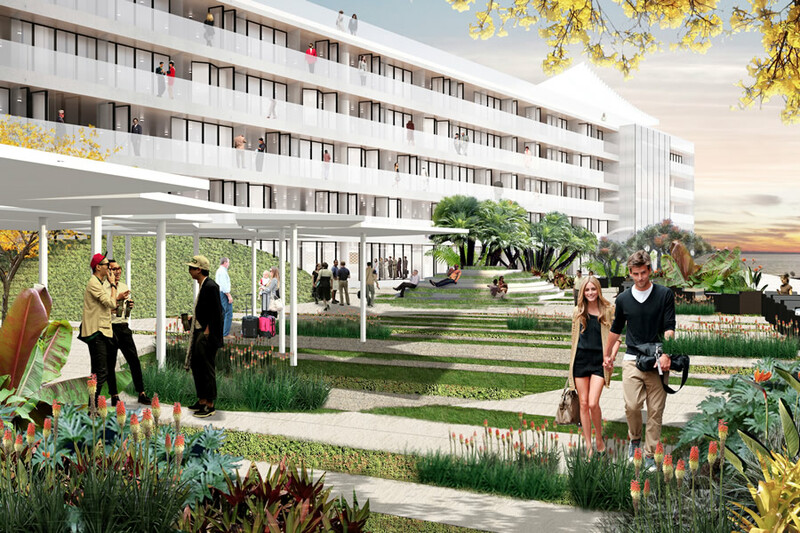 The mixed-use project, originally pitched in 2014, has been dogged by outcry from anti-growth community activists who take issue with the project’s size and density and would rather see the 2.57-acre site used to house a neighborhood park. 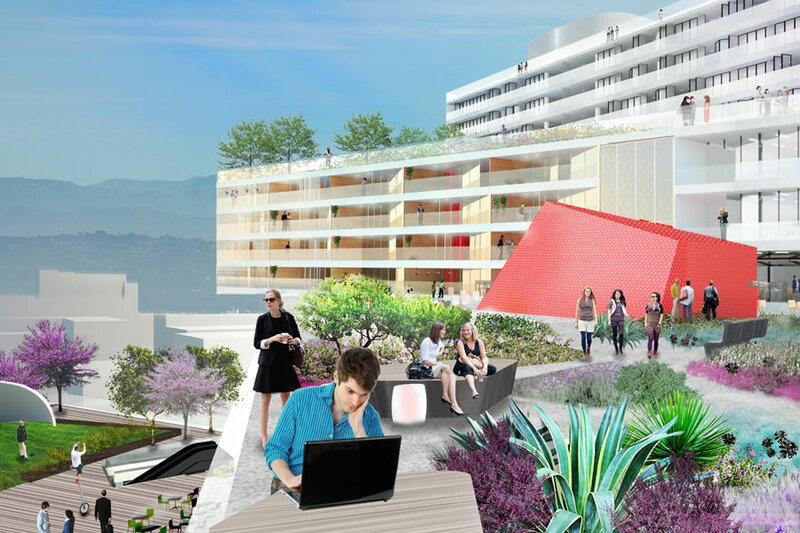 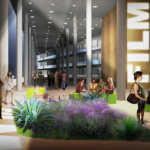 According to information presented on the project website, the development—as newly proposed—will contain 280 hotel rooms, 48 units of affordable housing, 106,000-square-feet of creative offices, and 12,000-square-feet of cultural space. 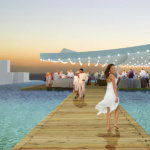 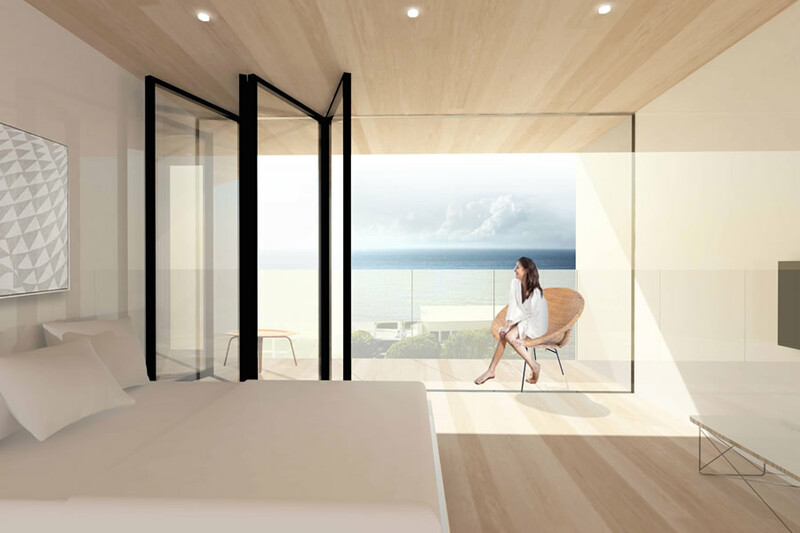 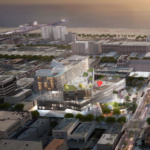 Santa Monica Lookout reports that the project is also designed to contain a grand plaza facing the ocean, two street-level pocket parks along its perimeter, and an elevated terrace park. 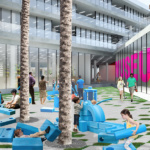 One of those pocket parks is being designed to contain an ice skating rink. 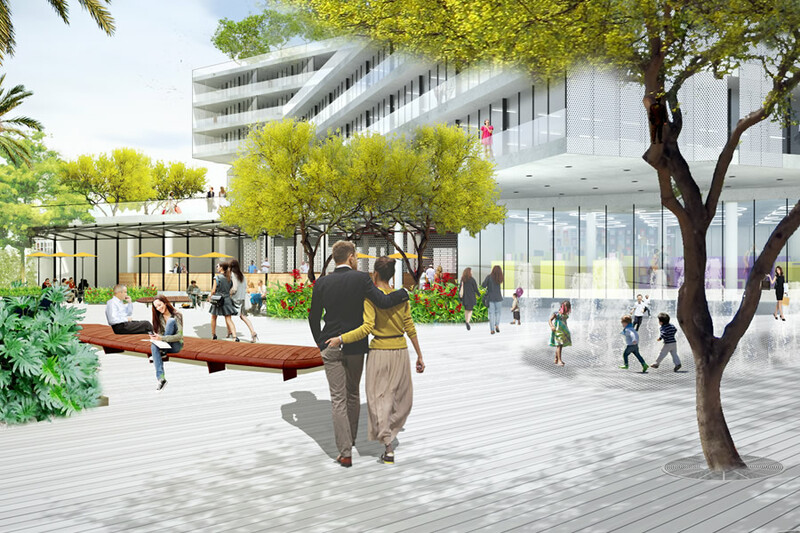 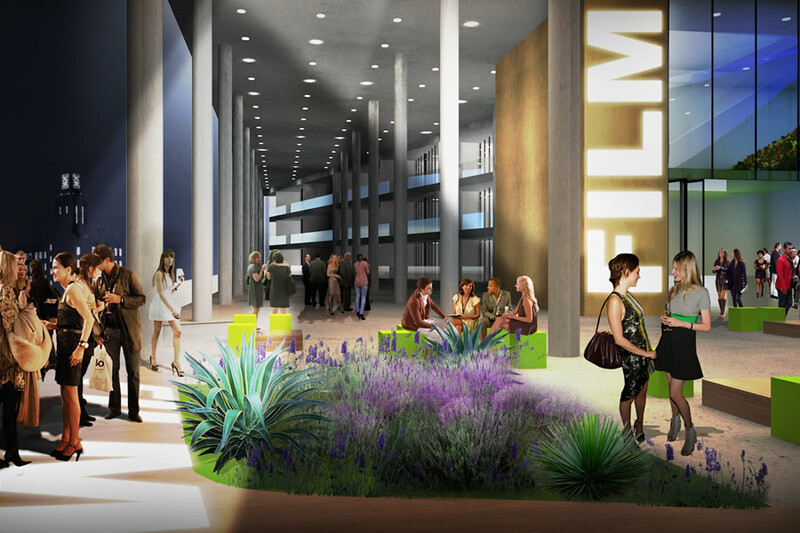 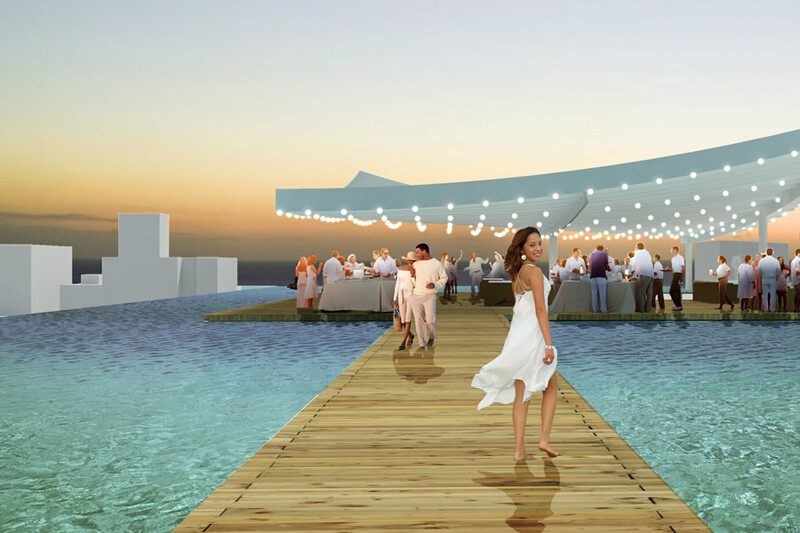 In total, the newly re-proposed project will bring roughly 2.86-acres of open space to the area, including the elevated terrace. 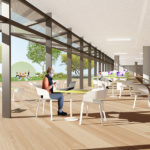 The new changes represent a modest downsizing for the project: While previous iterations had risen up to 148-feet in height, the new proposals bring the tallest point of the project to 129 feet. The project also includes 200,000 fewer square feet of retail space and more hotel rooms than it did prior to the changes, up from 225 rooms initially. 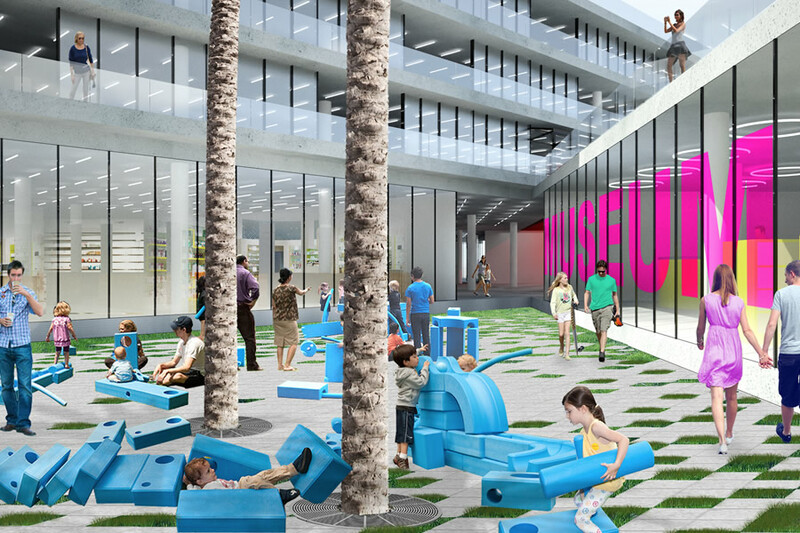 Renderings for the project depict a staggered stack of rectilinear building blocks that rise in height from a single story alongside the grand plaza to roughly 12-stories high toward the back of the site. 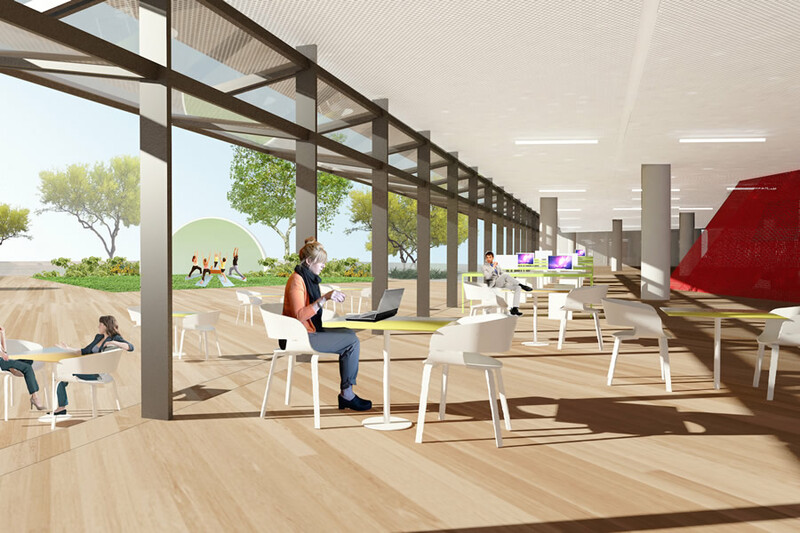 The shifting building masses create roof terraces and covered outdoor loggia as they rise and are wrapped in glass curtain walls on all sides. 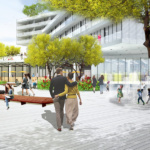 Community members have until March 2 to review new renderings of the project. 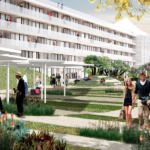 See the City of Santa Monica’s website for more information on the project.